The internet is still here! The global chaos and computer networks meltdown that many predicted would take place on April Fool's Day as the Conficker worm updates itself has, thankfully, not occurred. 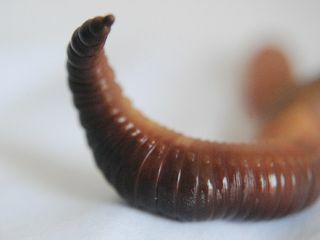 "Those monitoring the progress of the worm as 1 April dawned around the globe said there was no evidence it was doing anything other than modifying itself to be harder to exterminate," reports the BBC. The Conficker worm is believed to have already infected up to 15 million machines across the globe. Still, we are far from being 'in the clear' with the VP of Symantec, Vincent Weafer, telling the BBC: "We are going to be on high alert for a long time. Come 2 April we will still be watching while most people will have moved their focus elsewhere. "We believe the software is geared towards making money. The characteristic of this type of worm is to keep it slow and low, keep it under the radar to slowly maximise profits over the long term." Microsoft has put a $250,000 bounty up for anybody who can help to identify the criminals behind Conficker.